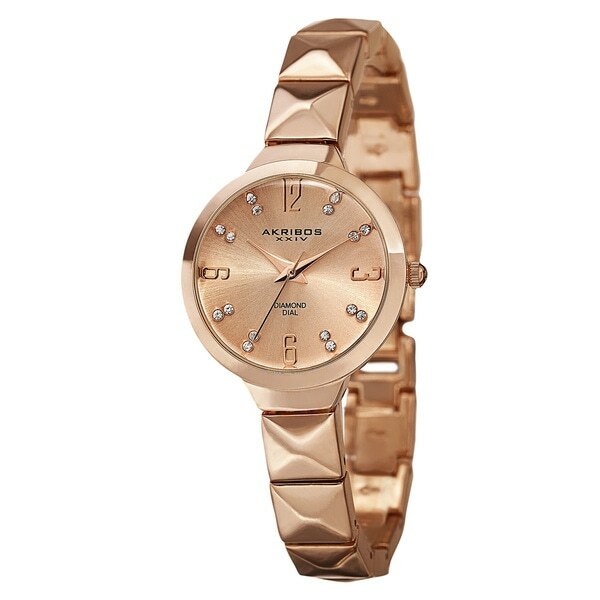 This classic Akribos XXIV women's watch features a reliable Swiss quartz movement. The sparkling diamond markers create a glamorous effect that is a must-have for every woman's wardrobe. Its rich tone and sophisticated design make this a unique timepiece.